Notes: Château des ducs de Bretagne is an architectural complex located in Nantes, consisting of a rampart of the fifteenth century and various buildings built from the fourteenth to the eighteenth century, historical monument since 1840. 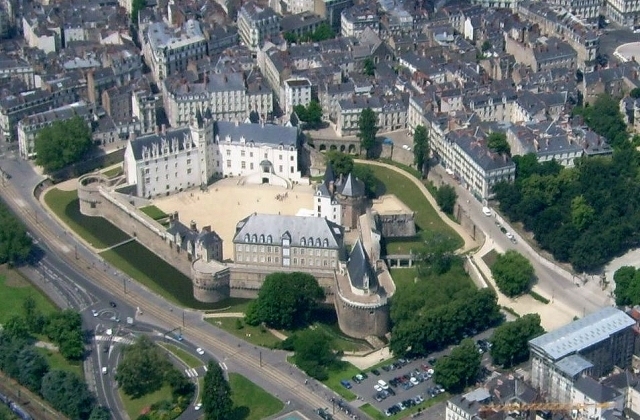 After ducal residence under Duke François II and the Duchess Anne, the castle became a royal fortress, seat of the governor of Nantes and royal prison and barracks from the eighteenth century. Became property of the city of Nantes in 1915, the castle was assigned to a museum and tourist use since 1924, notably under the direction of Joseph Stany-Gautier, curator until 1969. From 1990 to 2007, the castle has benefited from a major renovation and is from the seat of a new museum dedicated to the history of Nantes. Consequence of the transformation of the urban community in France, the castle became a metropolitan equipment on 1 January 2015.